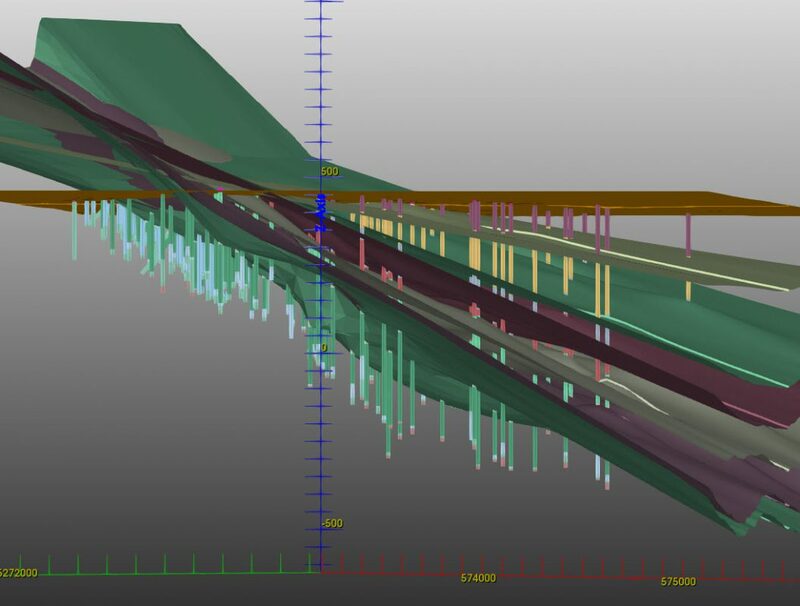 Stratigraphic modelling can often be done directly from the data. 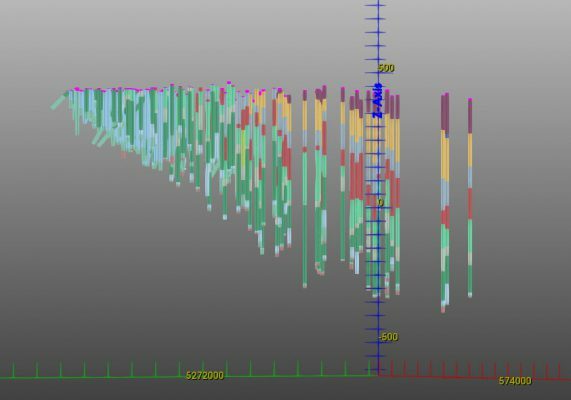 Creating a geological model from stratigraphy contacts is relatively straightforward. Although stratigraphic modelling can be straighforward, in some cases it isn’t. If your project is fairly complex, contact us to see the advanced tools that can be used for those cases. The first step in most geological models is to define the topography. Generally, the topography is provided as a LIDAR scan, as a triangulated surface or other means. In some case however, there is no data present. In that case, the collar points can be used as done in this example. 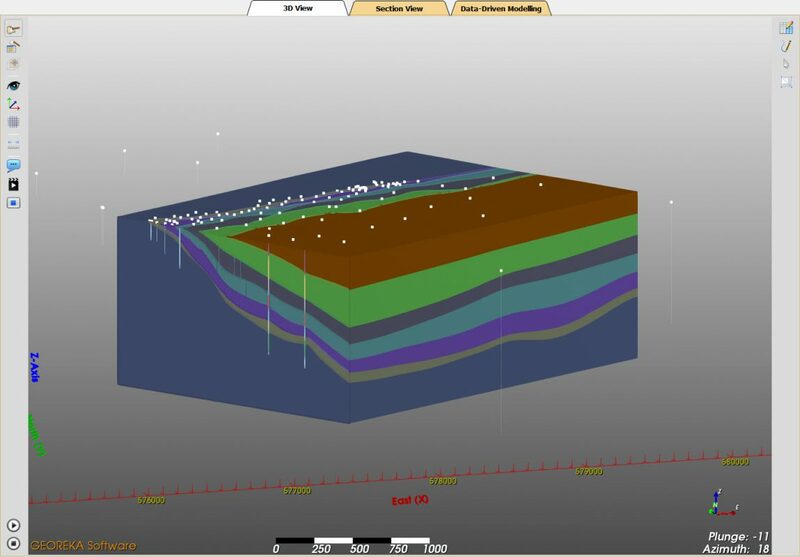 The next step is to model the overburden. 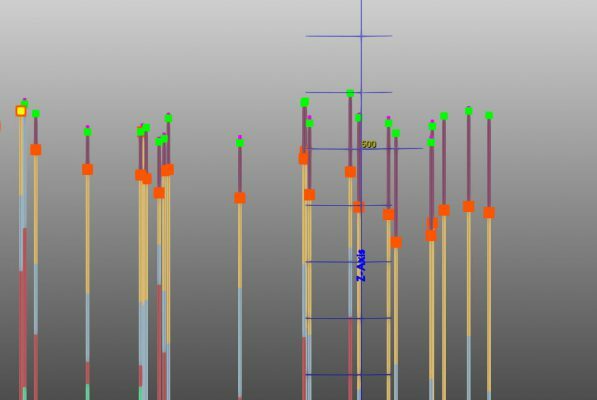 This can be modelled directly from the lithology data by extracting its contact points and creating an implicit surface representation from them. In other circumstances, manual correction might be needed. With the two contacts created the overburden can be modeled between them. Following the overburden, the actual stratigraphic layers can be modelled. To this end the same approach is used by extracting the contact points for each layer followed by creating an implicit model through them. This results in a list of contacts extending to the project boundary. When the contacts for each stratigraphic layer are defined, they can be used to build the final model. Typically the geological model is build from youngest to oldest or vice versa. Either way is possible, but beware that the order will have an effect on the final results!